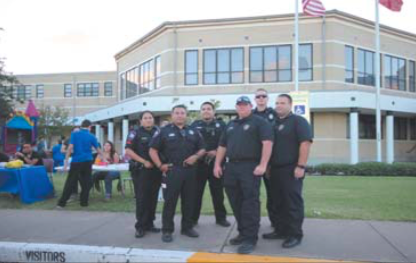 Galena Park Police Department, Deputies from Precinct 2 and Port of Houston Officers at NNO (National Night Out). The American’s National Night Out (NNO) Against Crime took place last Tuesday, October 4, 2016. Neighbors of Galena Park met at the Galena Park High School Parking Lot on Keene Street. There was food, music, giveaways as well as free tacos and hot dogs. This year, Galena Park National Night Out also hosted its second annual salsa tasting contest. Among the clubs and organizations who participated were the Police Department, Galena Park ISD, Galena Park-Jacinto City Rotary, Galena Park Interact, LULAC Council 4703, GPHS LULAC Youth Council, King Pen Kookers/Catering, Air Alliance Houston, Voter Registration and much more. 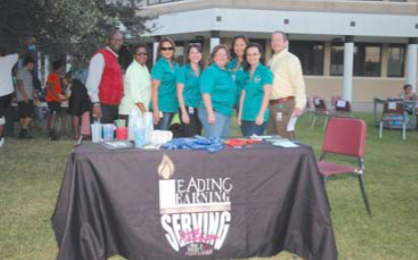 Galena Park ISD at National Night Out. 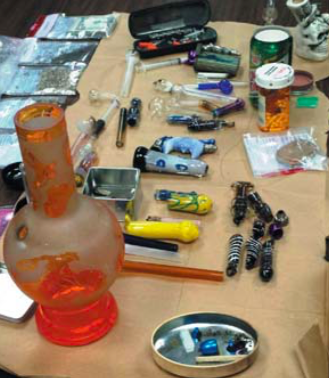 Jacinto City Police confiscated these drugs and drug paraphernalia at the raid at an apartment complex in the city. Also confiscated was a motorcycle and auto used in the transport of drugs, according to Chief Ayala. Jacinto City, TX — September 21, 2016 / Jacinto City’s Police Chief Joe Ayala says his officers obtained information of illegal drug activity in an apartment complex located in the city. Upon investigating and determining there was illegal drug activity a search warrant was issued for the apartment involved. Jacinto City police executed the search warrant and found both meth and marijuana packaged for selling along with visible signs that illegal drugs were being consumed there too. Subjects taken into custody and charged for Felony Possession of a Controlled Substance (meth) are identified as; Douglas L. Dodson, Leslie Staton and Robert A. Addison. Others arrested and charged for Possession Drug Paraphernalia in connection with the raid was Kelly Stringfellow, Rasalyn Davis and Shelley Steward. A motorcycle and vehicle were seized which were used in the delivery and transfer of narcotics. Miguel Chavez and Denise Villafranco North Shore 2016 Homecoming King and Queen. 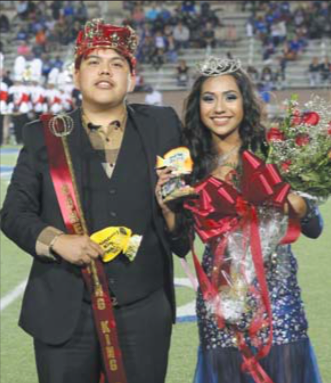 On Friday night, September 30, North Shore Senior High School announced Miguel Chavez and Denise Villafranco as the 2016 Homecoming King and Queen. Chavez has been the girls’ basketball and volleyball manager and Spirit Squad captain. In the community, he helps mentor middle school students and families in need. Chavez plans to enlist in the armed forces after graduation then attend Lamar University. Villafranco is an active member of the girls’ cross country team. Outside of school, she has her own clothing line with her brothers. After graduation, Villafranco plans on attending college to become a physical therapist. Congratulations, Miguel and Denise!